Bruce Koch found joy in so many aspects of his life. In his 34-year marriage to his best friend and most avid supporter, LaRose Ray, he found a lifelong partnership. Together they would have two daughters, Jessi and Nina, and a granddaughter, Antoinette. “Bruce had many passions, however his family was definitely first and foremost in his heart,” explains Ray. After his family, Bruce loved numbers and music. As a bass guitarist and pianist, Koch indulged his passion for music and shared his talents as a member of several bands in the Philadelphia area. As a CPA, Koch used his head for numbers to contribute to the financial success of several local businesses throughout his career until he finally landed with Starr Restaurants as Chief Financial Officer. Koch’s financial background and expertise was what the Honorable Leon Tucker, formerly a member of the Germantown Hospital Board of Trustees and Einstein Healthcare Network Board of Trustees, was looking to tap into when he approached him about joining him as a member of the Board of Trustees of Germantown Hospital in 1997. While on the Germantown board, Koch and Tucker helped to oversee Germantown’s merger with Albert Einstein Medical Center, now Einstein Healthcare Network, in 1999. Bruce became committed, heart and soul, to Einstein,” recalls Ray. “He was most impressed by the diversity of the community served by Einstein and dedicated his time on the board to helping ensure the long-term viability of Einstein’s Mission. He believed in the Mission and worked tirelessly to ensure services like maternity care would not only remain open, but enhance and expand to provide care to the community.”The impact he made during his lifetime is immeasurable. Not only on those so close to him, but on those who did not even know him. 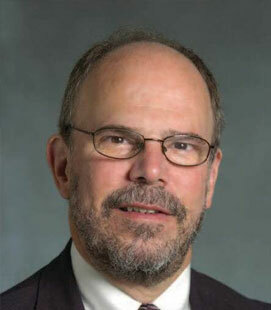 When Bruce Koch passed away at the young age of 60, he left a void in the lives of those who loved and cared for him. But he also left a legacy which continues to impact the lives of the thousands of patients served by Einstein every year. Through a planned gift as part of his will, he continues to give back to the community and institution he served so well in life. While the sadness of his loss still weighs on her heart, LaRose Ray is proud of the legacy her husband has left and comforted by the knowledge he is still making a difference. “He was passionate about making sure those in need would receive the care they deserved. I know he would be so proud to know he is still able to make a difference.”Photo caption: Bruce Koch was a member of Einstein’s Board of Trustees from 1999 until his passing in 2016.